Lord, help me. I think I’m falling for a straight guy. 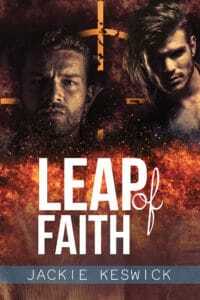 One genre that doesn’t get used much in M/M Romance is Inspirational. In most M/M Romance, religion is painted with a black brush. A little over a year ago, I was bit by a plot bunny for a short story for Dreamspinner Press’s One Pulse Anthology. That plot bunny led to a novel – this novel: Light in the Dark Night. I’ll admit, releasing this book is more nerve-wracking than any other book I’ve ever written. But it’s also one I love more each time I read it. This is a novel about hope, about belonging, and about coming to terms with who you are. One of the two heroes – Reverend Jonathon Neiland – spends every day fighting for the LGBT teenagers in his charge. As a gay man, he knows what they are up against and is doing his best. Sometimes his best is good enough. Other times, he feels he’s failed them. He has a strong, unbreakable belief in his god—you could say that is his pillar. Everyone needs something to hang onto… especially when a wonderful straight man is thrown into his path. He doesn’t want to lose Brecker’s friendship, but he also wishes for more. 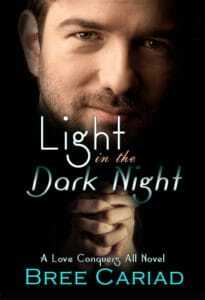 Light in the Dark Night is the 1st novel in the Love Conquers All series. I classify the LCA series as Love Stories instead of romances as they don’t necessarily follow romance tropes. Brecker looked over and smiled. Jonathon’s heart sped up as he looked at him. He’d never felt anything like this. Ever. What he’d felt for Paul had been passionate and fun and all the emotions of a young man. The reactions he had to Brecker were much more intense. Fuller, with more depth than he imagined existed. Mature emotions that hit him at a level he’d never realized were there. Brecker was handsome and stunning physically, but it was the inner man that pulled at Jonathon like a magnet. He had lived and experienced and rose above much of his youth. And yet he never denied it. Instead, he embraced that as part of who he was. Aiden was right. The man was a hero. A hero Jonathon wanted to kiss. “Want some more lemonade?” Brecker asked, breaking him out of his reverie. After Brecker disappeared into the kitchen, Jonathon sent out a quick prayer. Lord, help me. I think I’m falling for a straight guy. He’s wonderful and you used him to help make the shelter the success it is. But he’s coming to mean more to me. I think it’s probably just from years of abstaining from dating, but I don’t know what to do about it. I can’t pull away from the friendship as explaining it would make things worse. And the fact is, I don’t want to pull away. But I can’t keep this up. Someday I’m going to lose control and kiss him out of the blue and that’s going to make it worse. So much worse. Before he could continue, Brecker walked back in, two tall glasses of ice water in his hands. Once he sat back down and tuned into the game, Jonathon finished his prayer. I don’t want to lose his friendship, Lord. It’s as good as the one I have with Rolf. Please help me figure out how to beat the attraction. Amen. Jonathon rolled his eyes and walked over to the windows. He used his sleeve to wipe away some of the condensation. “Whoa.” The snow had definitely continued. He couldn’t see the cars. They were white lumps. He hung up and leaned his forehead against the icy glass. It helped to wake him up fully. Jonathon turned around to find Brecker watching him. Jonathon wasn’t sure how to respond to that. This was not the answer to his prayer he’d been looking for. Trapped with Brecker in his apartment overnight? He gulped. 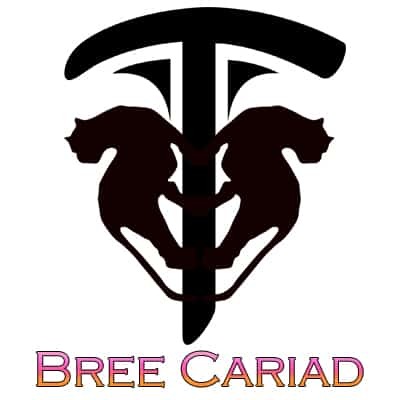 Bree Cariad is a best-selling inspirational & sweet romance author. Xe identifies as non-normative, multi-gender and believes in love in all forms and that happily ever afters come in many ways. Whether in a romance or a non-romance, in xys stories, love conquers all. Thanks for the heads up. Looks interesting. I’ll review after giving it a read (as I always do). UGH, too bad Bree is already starting in the negative stars for the review just in the first paragraph. 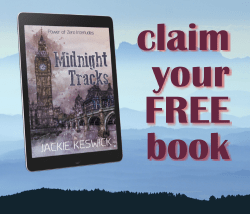 As I’ve discussed with you Jackie the author should be writing for the audience they are intending the story for, so if Bree’s audience is for Great Britain then it is written properly but if she is seeking an American audience she will need to learn the many differences in American English and British English. Using ‘car park’ instead of ‘parking lot’ only makes my gears spinning about what’s to come in the rest of the novel. Sorry that this rubbed you the wrong way. It’s an issue that’s not as clearcut as it may seem, and most authors have their own way to deal with it. For most of us, our audience is global. Then, there are constraints imposed by the publisher. Personally, I like to match spelling and grammar to the setting of the story. So a story set in the UK would use British English and a story set in the US would use American English. But even that doesn’t always work out. My Jack & Gareth books are set in England, but because the publisher is in the US I had to use American English spelling. Though I was allowed to retain “local” terms like carpark to keep the locality of the story. The Power of Zero is presented in British English and the next Jack & Gareth book will be, too. Thankfully that has been the only ‘language location error’ (the story is set in Washington State USA) and I’m definitely enjoying the read immensely (already up to Chapter 7). I haven’t finished the novel yet but I think Bree will be a wonderful addition to provide fodder to my immense need to read. Thanks again for ‘hosting’ her. I think it’s difficult, even within American English to work all the way across the States. I’m American and we say Car Park where I live. Car Parks are multi-level parking lots in the pacific northwest. I’ve noticed when I’ve worked with editors that the differences from the West Coast to the East Coast are sometimes as to feel as though you are talking about an entirely different country. They would insist on changes as per their language when it didn’t fit my language at all. *grins* I’ve always said English makes no sense. There are too many derivations of it. I entirely agree with the fact that English makes no sense. That’s the fun of it. Interesting Bree, I did not realize that. I guess here in New England we want to do away with all British terms so they are all parking lots, if ground level, or parking garages, if multi-level. I’m aware of some of the foods that are location specific, such as coffee milk being uniquely New England (Rhode Island originated), and various parts of the country calling a carbonated beverage either soda or pop , or the various terms for a sandwich on a batard bread, hoagie, sub(marine), or grinder. I think it’s invigorating when all the language gets reworked and reinvented as people relocate. Also the differences between coasts can be seen in Dunkin Donuts vs. Starbucks (for me each one has an appropriate time). Unlike the current powers that be I think the differences is what gives us our strength. Just imagine how boring it would be if everyone was of the same ‘mainstream’ mold. And yeah – while we have Dunkin Donuts here, Starbucks is the star. I have to agree I enjoy the differences. Southern phrases tend to make me smile. They always put me into the right frame of mind when I’m reading a book based in the South. Coffee milk is made with coffee syrup (think chocolate syrup but coffee) and milk. Yes it’s a cold drink. Prior to the syrup it was just half a glass old sweetened coffee and half cold milk. Nowadays with the cold coffee brew craze you could use half a glass of that to a half glass milk.